While many people are willing to take their time when trying to find the right oil tank, many don’t do everything that is required when it comes to oil tank maintenance. Even if you have kept a track of every detail when the tank was being installed, there are still things you need to do in order to keep it in good condition. Here we will go over the key aspects of oil tank maintenance and how just a few simple checks can help keep your fuel in good condition for longer. If you’ve not entirely sure about your requirements when it comes to purchasing and installing an oil tank, then it’s better to seek professional advice. Oil tank experts will be able to make calculations based on the amount of oil you use to determine the size of your new tank. Then they will be able to make a site visit to find the best location for your tank. One of the easier checks that you can perform yourself is on the site where the tank is based. Check the legs of the tank and make sure they’re not buckling or showing signs of rust. It’s also a good idea to have a look at the platform underneath the tank. 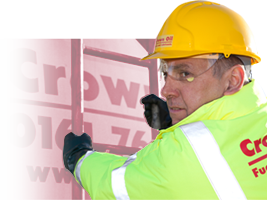 Ensure there are no visible cracks in it or signs that it might be getting increasingly unstable. Checking that the control mechanisms are working on your oil tank is one of the simpler checks to complete. Not only that but you will have the opportunity to check them on a regular basis as well. Whenever you use oil from the tank, check the tank gauge and see if it’s working correctly as the level goes down. Also check the venting whistle, which should make a sound when you are filling the tank. Sometimes the best way to check if there is a fault with your oil tank is through testing. If your tank is part of a heating or mechanical system, have a look at the flow rates to see if there are signs of a blockage. Another clear sign that something is wrong with your tank is when your fuel is contaminated. Have a look inside your tank is see if you can spot signs of contamination. If you spot something, then you will need to get a professional fuel polishing service. Is the Tank Well Protected? It’s always important to remember that in most cases, an oil tank is left to handle itself against the elements. That’s why it’s important to do what you can to make sure it’s as well protected as possible. Make sure that the tank is protected by fencing around all sides. This will help deter thieves and will also prevent you from damaging or tripping over the filter lines. If your tank is below ground, then it will have to be checked by professionals. If you want to keep your fuel in good working condition, then giving your tank a clean periodically is important. If condensation is allowed to build up inside the tank, then this can lead to water contamination. Ideally, you should be getting your tank cleaned at least once every five years. This can be a very complicated job, so it’s important that you get a professional tank cleaning service. Making mistakes when it comes to oil tank maintenance can be quite costly. This is why in most cases, it is best to get a professional inspection to make sure nothing has gone wrong. It’s also a good idea to get a professional inspection if you consider yourself to be a beginner when it comes to oil tank maintenance. After all, the last thing you need is to make an error that is left unnoticed for too long that it ruins your new tank. Is It Worth Paying for Professional Oil Tank Maintenance? For the most part, getting professional oil tank maintenance is well worth the cost. If your tank is neglected then this can lead to costs that are far more substantial than getting a maintenance check. 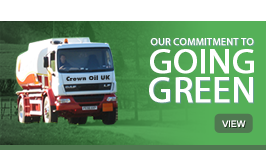 Ultimately, keeping your oil tank in good condition is both good for your oil supply and your business. You certainly don’t want to be forced into paying out for a new tank or a fresh oil supply, so these checks along with expert maintenance can help you keep your tank in great condition. 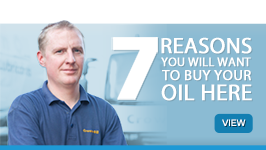 Looking to purchase a new oil tank? 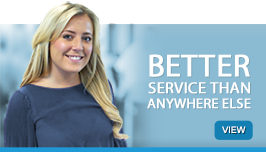 Then give us a call on 0845 130 9777 and we will take care of everything so you don’t have to!